Great One Offs – My Vitriol “Finelines” | "I Prefer Their Old Stuff"
Sometimes a debut album will arrive from a band that seems so perfectly formed, so well realised you find it hard to believe it’s from a new band, it enjoys a semi-permanent place in your listening schedule for a few weeks and you start to look forward to further, surely inevitable releases. Only for them to never follow it up. Either through early implosion of the band or the long struggle to crack that ‘difficult’ second album stretches to the point where ‘difficult’ has clearly morphed into ‘impossible’! 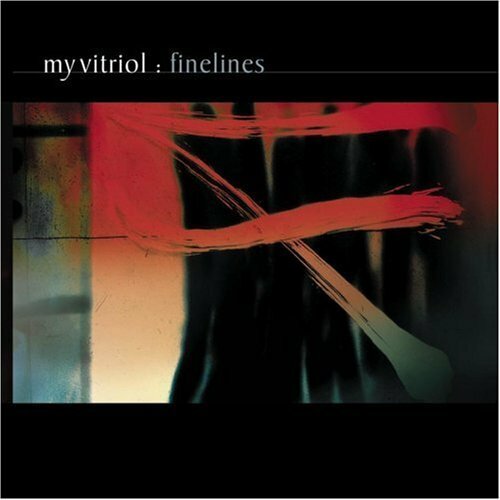 My Vitriol’s debut release Finelines is a fine example of the latter. The year was 2001, increasingly lame Nu-Metal bands seemed all-pervasive, so the highly effected guitar tones and shoegaze feel to this record felt like a breath of fresh air at the time, and for a fair while it pretty much lived in my CD player! It’s fair to say that from then on they pretty much went stratospheric (for a supposed alternative band anyway), they landed supporting acts for bands such as Deftones, Ash, Feeder, Muse and The Manic Street Preachers. They played at loads of festivals to huge crowds and, according to Wikipedia, their first Tokyo headline show sold out in hours! And then, nothing. They announced a hiatus from touring in 2002 to “write a new album”, ten years later and we’re still waiting. Listening back to this album now you realise just how many great tunes there are here, interspersed with short filler tracks that serve to link the whole thing together. And although its sound places it quite definitely at a certain point in time, it doesn’t sound dated. In the same way that early Smashing Pumpkins albums such as their stellar second album Siamese Dream are undoubtedly from the early nineties but still sound great! I mention the Pumpkins as Finelines has a fair bit in common with the sound of the first two Pumpkins albums, before they went all grandiose with Melon Collie and the Infinite Sadness. Will a new album ever appear? Do we want it to? After this amount of time I’m not sure, Finelines is fondly familiar and still a very enjoyable listen but so much music has passed through these ears I think I’d rather leave it as the unsullied one off it is! Coming up in this series (maybe, if I can get my arse in gear and write them! ); Late of the Pier “Fantasy Black Channel”, Yndi Halda “Enjoy Eternal Bliss”, any suggestions of great one offs out there? This entry was posted on September 16, 2012, 3:39 pm and is filed under Features. You can follow any responses to this entry through RSS 2.0. You can leave a response, or trackback from your own site.